SEO PowerSuite Review 2019 ~ Does it do all it Claims to Do or Not? Now SEO is no more tedious thing to do. The time is gone when you used to use different tools to rank your own websites or client’s projects. You will find ample of single stop solution for SEO, but SEO Powersuit is a complete heap of all the tools you will require to get the best results for your sites.This powerful tool is also used by some giants including Amazon, IBM, Microsoft, Disney and much more. With the suggestion of my blogger friend, I once used this power pack and I don’t regret giving his suggestion a try. Now let me tell you which 4 magical tools are included in this bundle. If you need any of the tools individually, then also you can get it but going for the whole bundle will save your money and boost your sites effectively. Spying is always fun in real life but it can be fun+ profitable+ higher rank if you do it on competitor’s website. You would be paying too much high charge every month to other tools for spying the competitor’s website. I used to pay $49.95 for the spying service to other tools. Everything was fine but the issue was that I needed to use this service only for 5-6 times a month. The best solution I got for this issue is – SEO SpyGlass. So, don’t stop learning via Spying. 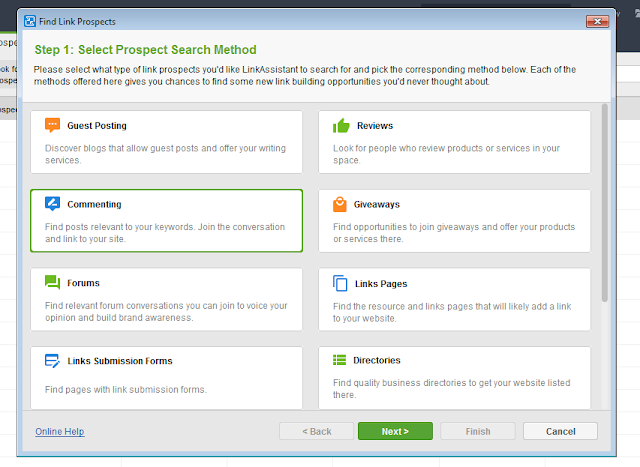 Download SEO PowerSuite Now FREE! 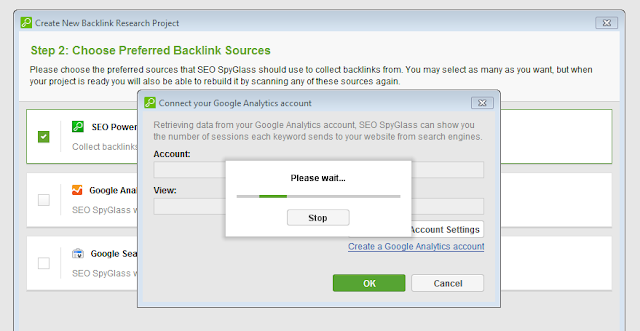 How to Spy with SEO Spyglass? Step 1: You can Spy the competitors by entering their URL (Opt for Expert options). Step 2: After this, you will be asked for the details of your Google Analytics and Google search console account and the linking starts. 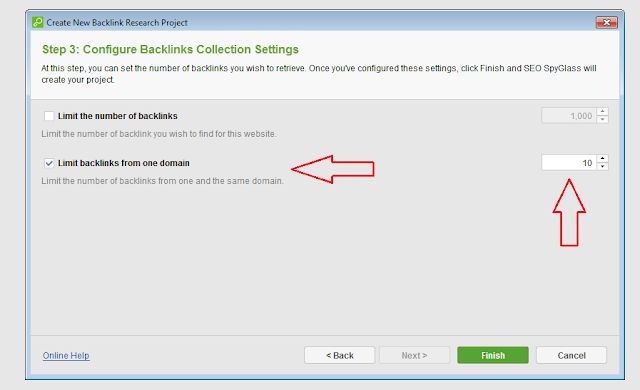 Step 3: Configure backlinks collection settings. Total backlinks, which are pointing to URL. Backlinks from homepage, forums, blogs, directories, etc. So, what are you waiting for? 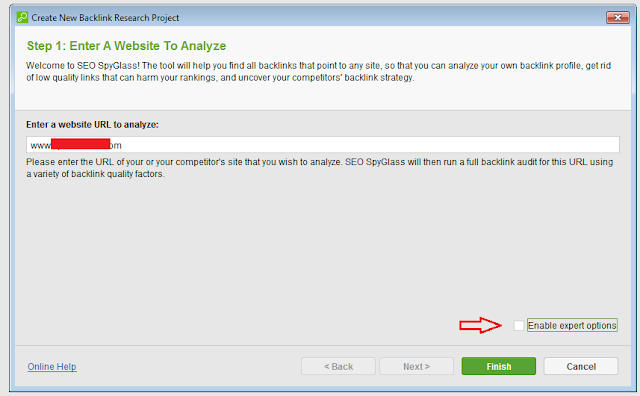 Go with SEO Spyglass and learn the link building strategy of your competitor. When I used the features of these tools, I was like awwww....why I was using other crappy tools!!! This smart tool will make your link building stuff much easier. You just need to configure your Email address then send and receive the emails as well. 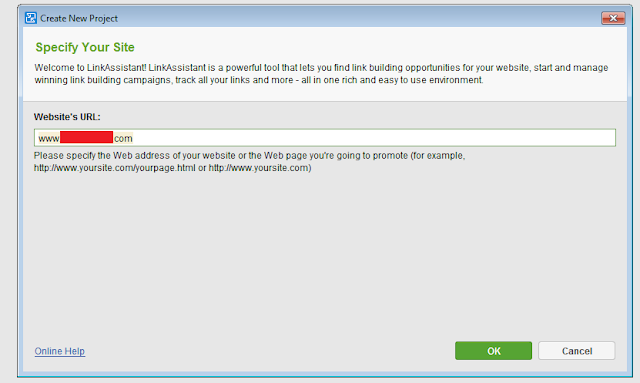 How to manage the link building with Link Assistant? Step 1: Enter the URL. Step 2: Choose your search method. You will be asked for a contact name and Email ID, then click on finish. 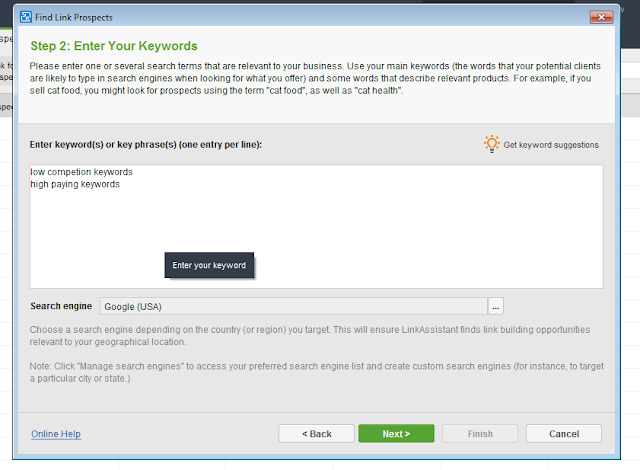 Step 3: Enter your keywords and select the preferred search engine. Step 4: Click finish. It is the final step of fetching. You will get all the links with webmaster’s name and email address. Now all you need to do is just use this treasure of data. You can directly contact the webmaster for link building. You will also get the readymade templates for the email as well. This tool is very much dear to me as I use it more often. I work at many sites simultaneously, s it becomes really boring duty to check the ranking of their keywords manually. 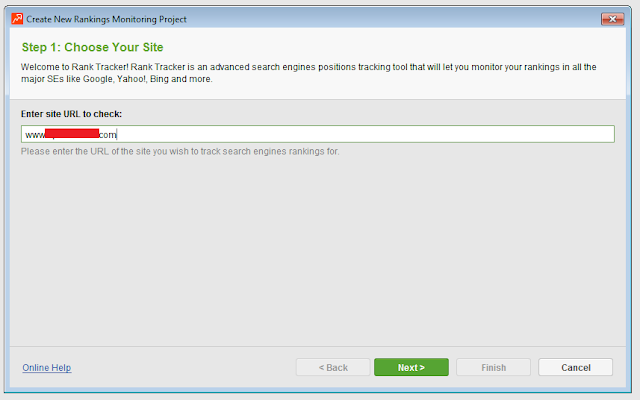 Nowadays, SEO Agencies have started using this tool to track the web ranking of their clients' projects. Here, Rank Tracker comes for your help. Let’s see how it works. 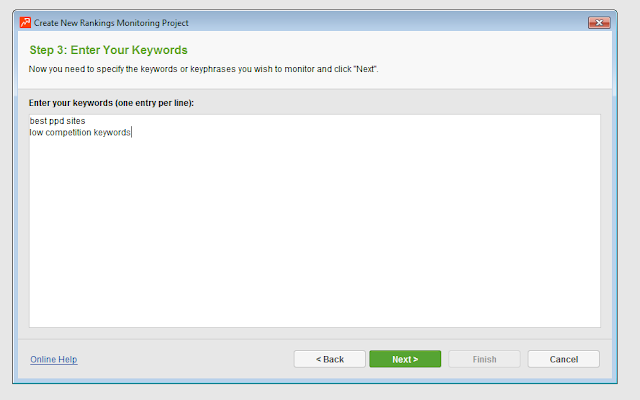 Step 2: Connect your analytics and choose the keywords from the list or add it manually. Step 3: Search Engine Selection. 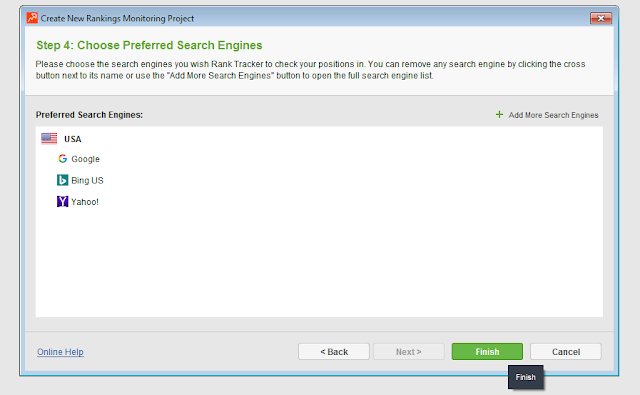 Here scanning starts for the targeted keywords in selected search engines. This is the perfect tool for SEO agencies. 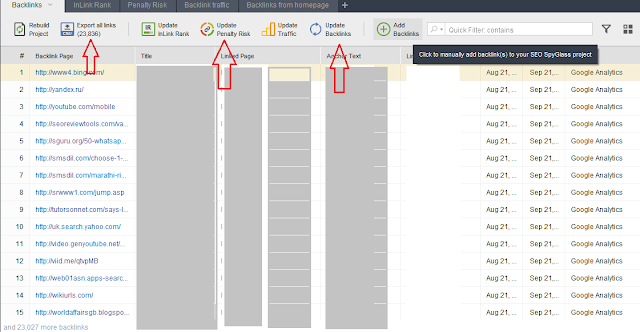 This tool is to help you with analysing on-page SEO. All the factors like headings, indexing, redirects, error codes, titles, links and other important factors. This is how you can make your website SEO friendly. You can generate the entire report for every parameter and send it directly to your clients. You can perform audits like social media popularity, broken links, duplication of titles, and much more. Each and every tool comes with detailed reporting functionality. Additional licences required to run on multiple systems. When I was new in the SEO industry, I was also a big fan of SEMrush. I was forced to use SEMrush by some pros. and their sponsored reviews of SEMrush. But later, when I realized the tool is not giving the accurate data then I stopped using SEMrush. You can check my views and review of Semrsuh here and get to know why I stopped using SEMrush. So if you ask me, "SEO PowerSuite or SEMrush?" then my answer would be SEO Powersuite. Ahrefs is the best tool for spying your competitors' links or tracking your own web links. It's better than all other tools available in the market for the same purpose. But if we compare Ahrefs with SEO PowerSuite then you can feel, Ahrefs is offering fewer features than SEO PowerSuite and charging higher. So again, I would recommend SEO PowerSuite. But at last, it should be your decision...! After reading the functionalities and usability of all these tools, the one thing that comes to mind is, if this tool is these much powerful, then it might be costly. So, let me break this myth. Let’s discuss the SEO PowerSuite cost. This is completely free – and free for eternity. The time is unlimited but the features are very much limited, but it’s the best option to try before you go for the paid edition. All the essential features are included. You can use this edition for the unlimited websites. Reporting and Data exports are the additional features you get with this edition. If you have ample of clients, this is the perfect solution. We have got 40% OFF deal for a limited time, Grab it Now! To boost your traffic, manage your outreach campaigns and rank your project higher, it is must to put some efforts on SEO part, and SEO PowerSuite is a complete package to improve the overall SEO of your project. Without any doubt, this is the first choice as long as I want to make the tedious task of managing various parameter of SEO easier than ever. If you have used this tool, feel free to share your views via the comment section. Don’t keep the good knowledge limited to you. Share this article as much possible for you. Your sharing is always an honour for our community. Message: I hope that you have enjoyed 'SEO PowerSuite Review ~ Does it do all it Claims to Do or Not?' article on Tips2secure. However, if you want me to deliver more items, then please share my post. You can use Social Sharing Widget provided at the end of every post. After all, Sharing is Caring! Is there anyone used this ? Please give me your experience if you have used.